Helping support newly graduated nurses as they transition from an educational setting to a fast-paced hospital environment is the mission of Covenant Health’s nurse residency program. 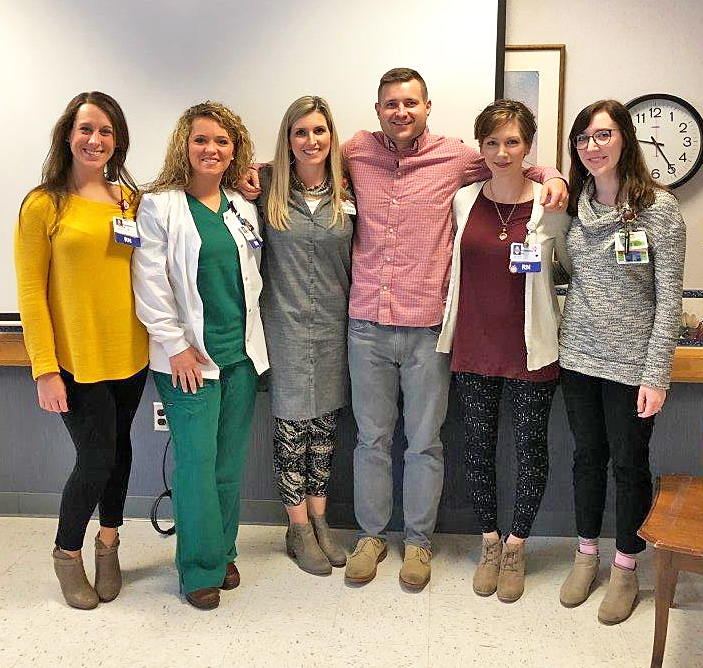 Methodist Medical Center’s latest class of nursing residency graduates included Hannah Johnson (4-West, Oncology), Whitney Lambdin (2-West, Medical-Surgical), Sara Meadows, Nick Tubbs (ICU), Kendra Smith (2-East, Family Birthing Center), and Fallon Tait (Emergency Department). In 2016, Covenant created a Nurse Residency Program, designed to empower new nurses with increased competence, more confident decision making, stronger leadership and critical-thinking skills, and greater satisfaction. Hospitals that have implemented similar programs have also seen reductions in nursing turnover, and a positive impact on patient safety and quality of care. Covenant Health’s nurse residency program is a 12-month structured curriculum that uses classroom learning seminars, case studies, small-group discussion, precepted clinical practice, and evidence based practice projects and presentations. Last week, Methodist Medical Center’s latest class of nursing residency graduates included Hannah Johnson (4-West, Oncology), Whitney Lambdin (2-West, Medical-Surgical), Sara Meadows, Nick Tubbs (ICU), Kendra Smith (2-East, Family Birthing Center), and Fallon Tait (Emergency Department). For more information about the program, contact Sara Meadows at sara.meadows@covhlth.com, call 865-531-5720 or visit the Covenant Health Nurse Residency Program page.